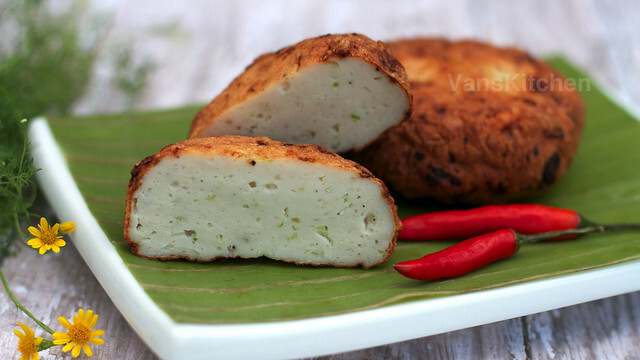 Vietnamese fish cake is popular in Vietnam, both as a street food and a homemade food. It's usually served with rice or noodles. 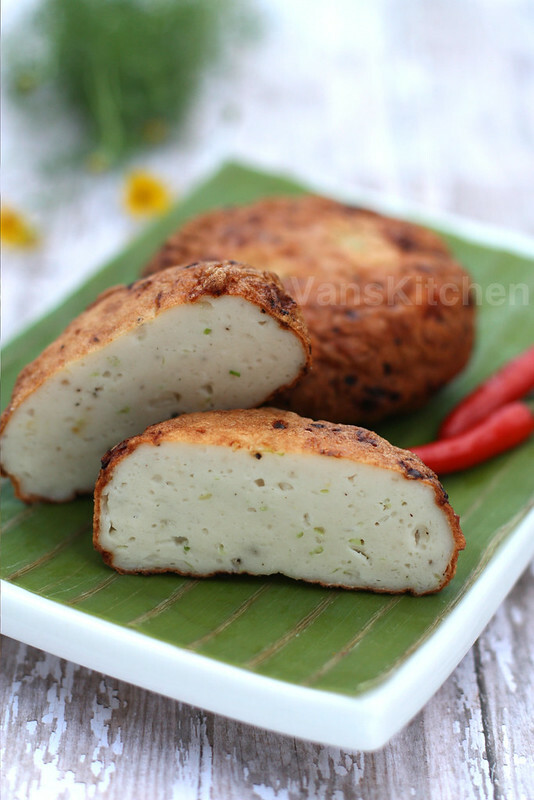 Fish cakes made from Spanish mackerel or featherbacks seem to be the most popular. Unfortunately, I cannot get these fish fresh at local grocery stores, so I always end up using tilapia. But the result is still very good. With just a little flour added in, you can enjoy the taste of fresh fish with every bite. Wash and dry the fish fillets well with paper towel. Then cut into cubes. Mix sugar, salt, pepper, fish sauce, and oil well until dissolved. Pour this mixture into the fish fillet cubes, and mix well. Cover with plastic wrap and place in the freezer for 2 hours, or until the fish is extremely chilled, but without actually freezing. Take the fish out of the freezer, and grind it the first time.Then cover, and place in the freezer to chill again, for about 2 more hours. Take out, and repeat grinding a second time. After grinding all the fish a second time, if it is not chilled enough, we need to place in freezer a third time to chill again before moving to the next step. Mix tapioca flour with baking powder, and add to the ground fish bowl. Start running the KitchenAid stand mixture with the paddle attachment, gradually mix on slow speed flour mixture into the ground fish. Then raise to medium speed, and continue mixing for 5 minutes, or until the mixture is well combined. Finally, add the chopped green onion and stir well. Heat the oil while shaping the fish paste into the size you want. When the oil starts to smoke, drop the fish cake into the oil. Fry one side for about 6 minutes, then flip it over and continue fry an other side for 6 more minutes until it is well done. Take out and place on a paper towel to absorb the excess oil. Let it cool down a bit, slice then serve. 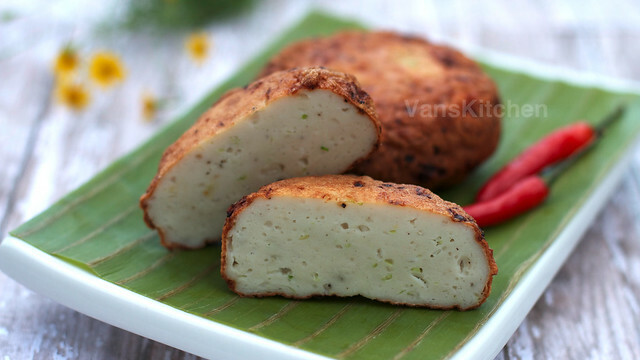 I love fish cake! Can't wait to try it. Will it work with cornstarch?